Mokka is a clean & minimal blogging WordPress theme included with elegant typography options and 7 various home page and 5 blog layouts. Its 100% responsive WordPress theme with powerful admin panel helps you to customize each and every elements of you website and included with 6 different types of post formats templates. Featured with mega menu navigation and sticky header is very handy feature to navigate across the website easily. Its WPML multilingual translation ready WordPress theme included with .PO and .MO language files. Mokka minimal blogging WordPress theme is W3C compliance, design to appetizing to search engines and have good ranking. With touch friendly light box supported for mobile devices to scroll images with your fingers. Supports 600+ Google fonts, 400+ Font icons library and enabled with grid styled category layout ensures quick and easy user navigation. Its search engine friendly, cross browser compatible WordPress theme enabled with supports 600+ google web fonts for clean typography. 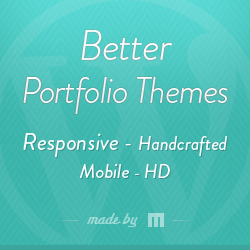 With Mokka WordPress theme, create and manage content is so easy than ever before. You can create unlimited pages and category template without touching single line of code. Built with versatile and responsive grid section and included with 5 different blog layouts to choose from.